Through ZLiveHost.com, we offer domain name services amongst dozens of TLDs including .com, .net, .org, Server, Web Hosting and more. High end web hosting for the beginner web user to the serious programmer. 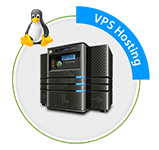 We offer everything from shared hosting to VPS, dedicated servers and SSL.